The early iPhone XS and iPhone XS Max reviews are now being posted online. Not surprisingly, most focus on the subtle differences between the two handsets and the 2017 iPhone X. The Wall Street Journal’s Joanna Stern had similar thoughts. Though she was impressed with both the iPhone XS and iPhone XS Max, she suggests waiting until the iPhone XR launches in October to make a decision. Finally, there’s Mashable’s Raymond Wong who actually goes in a different direction. He believes both models offer much more than subtle changes — if you look inside the devices. The time has come for us to look beyond the surface of the iPhone — they’re all gonna look like the iPhone X from here on out. Maybe the notch and the bezels shrink over the next couple of years, but the real game-changing innovations are all happening inside. So start paying more attention to them, because they’re “boring” but will increasingly matter more. As someone who purchased an iPhone XS Max to replace my iPhone X, I don’t have a beef with anything that was said in these reviews. Nonetheless, I also agree that for the average iPhone owners, it’s a wise choice to wait until the iPhone XR arrives on Oct. 26 to decide which one is best. 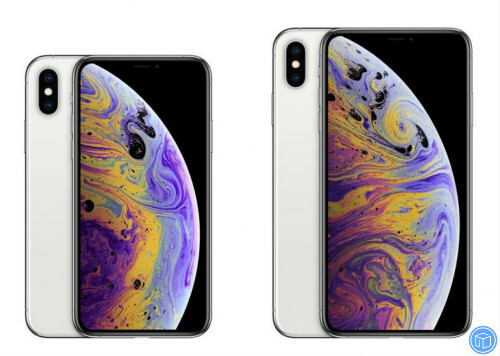 As a reminder, you can pre-order the iPhone XS and iPhone XS Max now. Both models officially launch in stores this Friday, Sept. 21. Pre-orders for the iPhone XR will be accepted beginning on Friday, Oct. 19. This entry was posted in Apple, iOS Device, iPhone, Tips and Tricks and tagged but wait for iPhone XR to decide, First reviews call iPhone XS & Max awesome by IosdroneD. Bookmark the permalink.